Until recently, Robert Epton of Bellevue had never played Dungeons & Dragons. Now he is a regular at our Cold Spring Branch‘s monthly Dungeons & Dragons program. Epton has been retired for nearly nine years, and he enjoys building models in his free time. He makes the models using popsicle sticks, coffee stirrers, styrofoam and other household materials. “I was on the internet and kept seeing stuff about Dungeons & Dragons. I thought it sounded cool and started making some models,” Epton said. 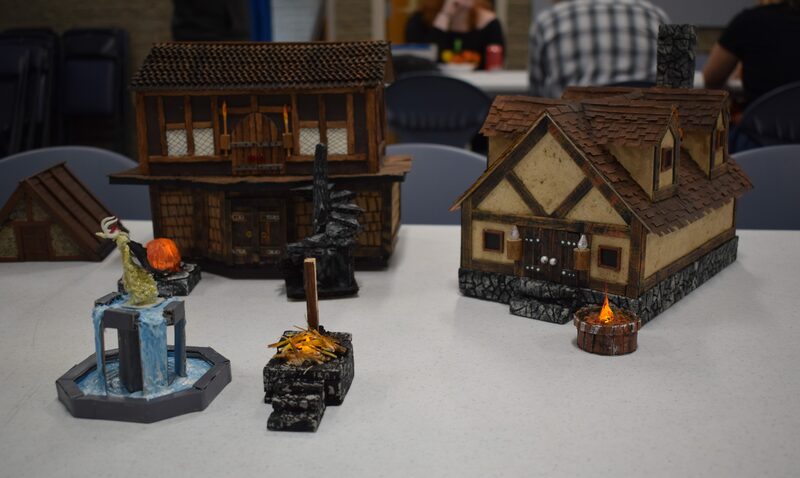 After hearing about our Cold Spring Branch’s monthly Dungeons & Dragons program, he decided to attend and learn more about the game. “I called the library before going and explained that I had never played the game. They encouraged me to come and learn,” Epton recalled. Epton has been back every month since. 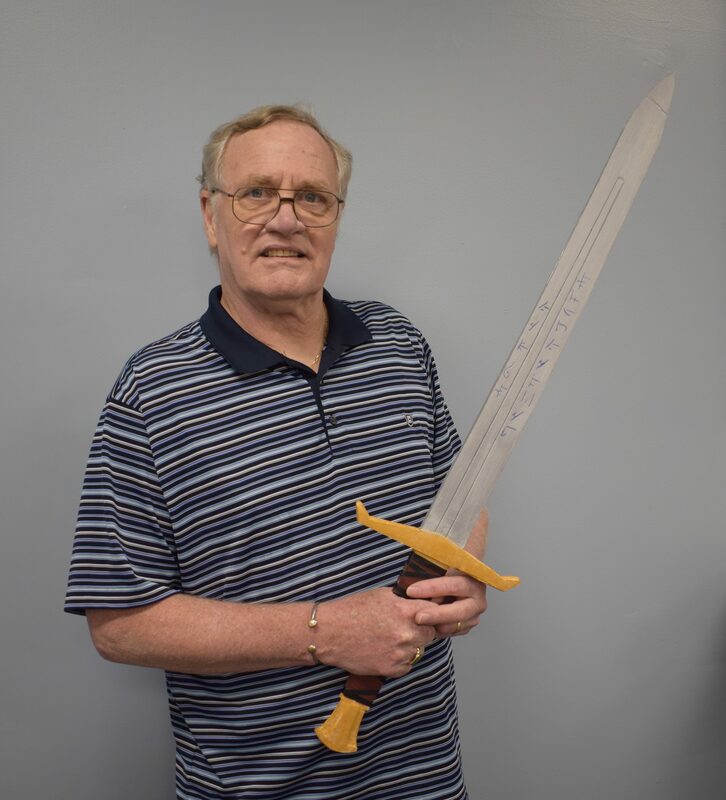 He donated his models to the branch to use during future Dungeons & Dragons programs. “We are extremely grateful. The models are amazing, and I love using them during the programs,” said Cold Spring Branch Adult/Teen Services Librarian Clara Gerner. Friday, November 3, 6:00 p.m. – 10:00 p.m.
Friday, December 1, 6:00 p.m. – 10:00 p.m.